Jade plants are evergreen succulents with round or heart-shaped leaves. Evergreen plants establish permanency in the energies they generate. In feng shui, this plant is considered a good luck symbol and activates financial luck since the leaves are coin-shaped. The gifting of a jade plant is a traditional feng shui practice, especially in business relationships. Business professionals often hallmark a first meeting with the exchanging of gifts, such as a jade plant. 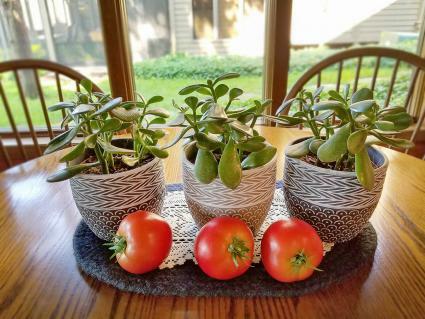 A new business is blessed when it receives a jade plant gift. You can also give this plant as a housewarming gift, as well as birthdays, weddings, anniversaries, and other occasions. Setting a jade plant next to your cash register is believed to increase business wealth. You can place a jade plant at the entrance of your shop or other business, such as a restaurant or jewelry store to ensure a successful business and encourage continued growth. A jade plant set in a home office either in the southeast corner of the room or the southeast corner of your desk is very auspicious. The dining room table is a good location for a jade plant, especially when reflected in a mirror for doubling abundance. Inside your home, the jade plant can be placed in the southeast sector as long as it is not in the bedroom since plants emit too much yang energy. Plants are never recommended in a bedroom. If your health needs a boost, select a healthy jade plant to occupy the east sector of your home. Avoid jade plants in the bathroom since it's a wealth symbol and you don't want your wealth being flushed away with wastewater. A jade plant can be set in the foyer area of your home, just inside the front door. Deciding to add a jade plant to your garden depends on your environment. If you live where the winters are harsh, you can set a potted plant in the garden during the spring and summer months and return it indoors when the temperature grows cold. Place the plant in the southeast sector of your garden to activate wealth luck. You want to be sure that you select a healthy jade plant. Look for a sturdy trunk and vibrant green leaves. Most jade plants have a rubbery flexibility to the trunks. Avoid a leggy plant with no center sturdy trunk. You want to choose a plant that symbolically represents strength and support. Never over water your plant. Succulents are designed for drought conditions, so a little water goes a long way. 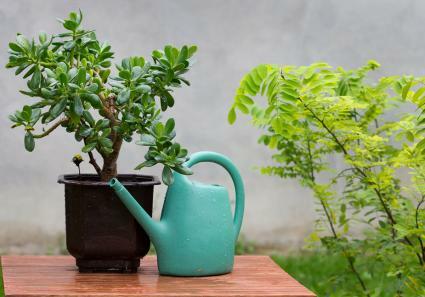 According to feng shui guru, Lillian Too, you should not let your jade plant grow any taller than three feet. The plant will require less water in the winter than it does during the growing months of spring and summer. Place the plant so it receives some direct sunlight during the day. Be careful not to burn with too much direct sunlight. Too little light causes the leaves to grow pale green while too much sunlight will tinge the leaves red. Fertilize the plant once or twice a month during the spring and summer months. If your plant isn't branching out, you can prune it to encourage new limbs to grow from the trunk. Transplant the clippings to create more plants. 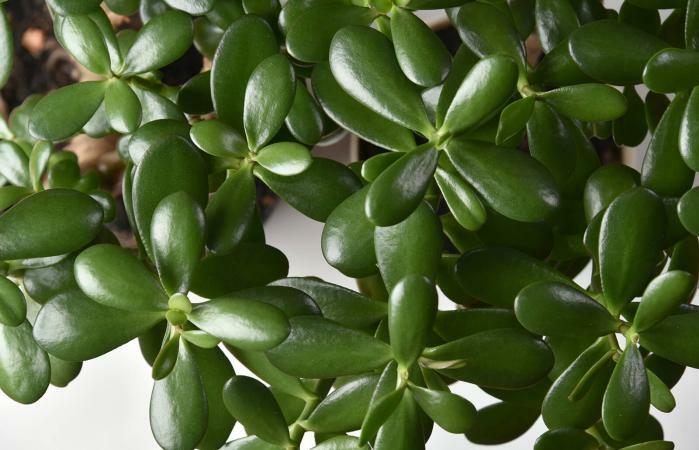 If you live in a home or apartment that doesn't provide adequate lighting for a healthy jade plant, you can use an artificial plant for the same benefits. The idea that artificial plants attract negative energy is a complete myth. The only type of nonliving "plant" you should avoid is a dried plant, such as a floral arrangement, dried herbs or other dried plants since these plants are dead. The inauspicious energy from dead plants will indeed attract negative chi energy. It's easy to learn how to use jade plants in feng shui applications. The key to a successful use is placing in the southeast or east directions (wood element) and proper care so your plant remains healthy. A healthy plant will attract auspicious chi energy.